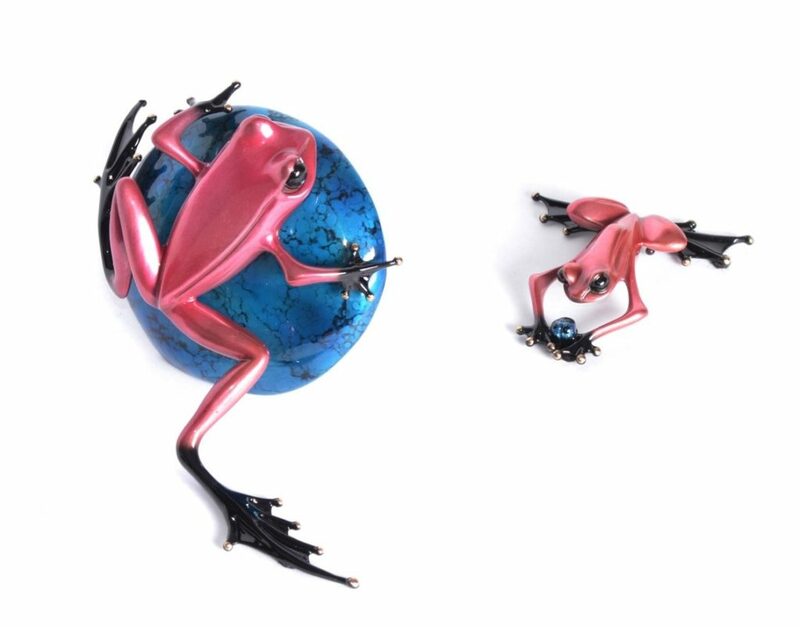 These special US Show sculptures from Tim Cotterill are edition variations of bronze frogs already on general release. They are often popular due to their very low edition size. Mad Hatter is an edition size of only 40 which is a colour variation of the general bronze frog Portobello, while Rose is an edition size of only 100 and is a colour variation of the general bronze frog Lucky Bug.